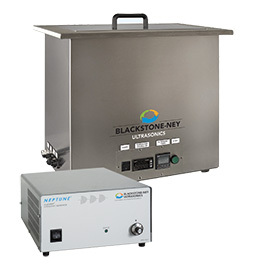 Blackstone-NEY Ultrasonics is the leading provider of industrial and precision ultrasonic cleaning equipment. 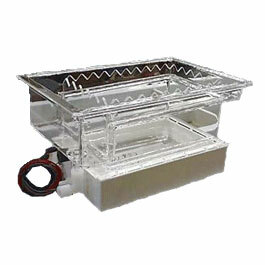 We design and manufacture efficient and environmentally sound solutions for challenging parts cleaning applications. It seems that each advance in technology demands greater and greater attention to cleanliness. As a result, Blackstone-NEY Ultrasonics has been challenged to meet these exceedingly high expectations and has done so through rapid innovation. 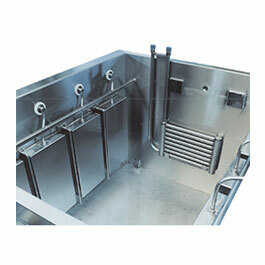 Many of these advances have involved the use of ultrasonic cleaning technologies utilizing multiple frequency ultrasonic generators and advanced waveform ultrasonic generators. These cutting edge ultrasonic cleaning technologies are used by our most demanding OEM customers to remove sub-micron particles from hard disk drive components and silicon wafers. While the cleaning industry continues to use solvent degreasing with alternative Sodium Hydroxide friendly" means of parts washing. 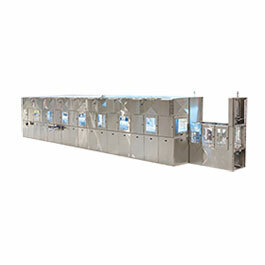 Although substitute water-based, aqueous degreasers, citrus degreasers and petroleum based chemistries are available, they are sometimes less effective as cleaners than the solvents and may not perform adequately in some applications unless a mechanical energy boost is added to assure the required levels of cleanliness. Ultrasonic energy is now used extensively in critical cleaning applications to both speed up and enhance the cleaning effect of these alternative chemistries.